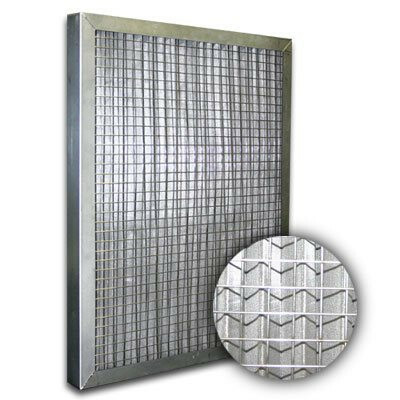 16x25x1 Titan-Flo Aluminum Frame Pleated 100 Mesh Industrial Panel | Air Filters, Inc.
Air Filters, Inc.™ Titan-Flo™ aluminum frame pleated industrial panel is designed for medium to hi-velocity applications with low pressuer drop and can be used as a pre-filter for medium efficiency filters. 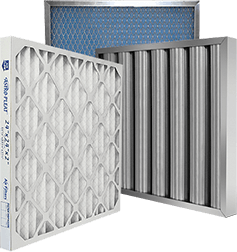 These filters are ideal for use in areas where corrosion may be a problem due to enviromental conditions or hi temperatures up to 700ºF. Typical applications for this filter include air intake areas for generators and electrical motors as well as general ventilation for equipment. This is a washable reusable filter. A filter spray adhesive is recom-mended for increased efficiency on small dust particles. Air Filters, Inc.™ Titan-Flo™ aluminum frame pleated industrial panel are all aluminum construction containing a minimal of five layers with multiple layers deep pleated 18 mesh epoxy coated aluminum screen nested together in a designed mat. Pleated at 1 pleat per inch.